What should be the real name of that folder? how can I update the installed KODI version (17.4)? The provided update app downloads the 17.6 version but after unpacking it’s still the old 17.4. I try also to download it ‘by hand’ – no luck, did not install. You can try to uninstall your APP first, then install the new one. I bought a TX3 mini 3 days ago and had upgraded the firmware to the latest version. There is this issue of the names of Apps installed and names of devices plugged into the box showing up in strange, unrecognisable characters. Please advise on how to overcome this issue. Hi Tanix. I had upgraded my Tanix TX3 Mini with Tanix TX3 Max & Mini – Dual OS Edition 20180109. Everything is ok but I have some questions. – Super Root function will be enabled on Tx3 Mini or it’s better I buy a TX3 Max ? – How can I switch between OS ? When I press POWER button on remote, my box shutdown. I had changed at settings Power Function from Shutdown to Sleep and it just sleep. How can I change OS ? There are few differences between Mini & Max. The “Max” features bluetooth and its hardware components are a little better. But you can use same firmwares. For now there is not solution. We recommend you using a mouse or keyboard with touchpad. Netflix APP is designed by them… difficult to fix. It could be a hardware problem too. If you want to try LibreELEC, we have a DUAL BOOT EDITION of our firmware. It is running on both TX3 Mini and TX3 Max. KODI should play up to 4K video. Maybe some configuration…? Other users tried and they said it is working normally. It can play up to 4K@30fps on its video layer. Have you tried? About the BETA firmware, it is just that, a BETA version for our BETA testers and everybody who want to try and give us feedback. That is the best way to improve our software and polish every update before release it as “Official Stable”. All this talk about the 720p (what is in fact a downscaling) comes from a bug related to the Amlogic’s SDK. We found it (many thanks to BETA testers) and we fixed already. New TX3 Mini & Max productions are being flashed with this correction. What can we do with the TX3 Mini that are already out? We just can update them. I am sure if you are a Raspi user, it will be really easy for you to download a ZIP file, copy to a USB memory and do 4 mouse clicks. By the way, our own “LibreELEC & Android dual boot from eMMC” firmware is almost ready (with WiFi support). Maybe you will be interested. What does mean – *Upgrade from TF card or USB memory by using “Update” APP- Can I use USB pendrive(USB flash memory) connected to USB port to update box? Yes. You also can check the video about how to open the APP and choose the file. 2. Insert the card (or connect the USB memory) in the TX3 Mini. 3. Open “Update” APP (already preinstalled). 5. Press “Update” button and wait. The box will reboot and upgrade. – If something goes wrong, try again. Is your HDD external powered? It is possible the TV Box can not supply enough power by a USB port and it needs external. Yes, you can access Google Playstore. And also can install app manually if you wish. That is an .img file for flashing by USB burning tool, we have a tutorial at our blog (for TX5 Pro, but that is same way). I think we are going to release .zip files too from now. Amazing product and amazing design, love it! From website you have free shipping worldwide by post. К сожалению, данное устройство не поддерживает FHD Youtube, я огорчен, прошивка не помогает. Unfortunately, this device does not support FHD Youtube, I am disappointed the firmware does not help. What firmware version is running on your box? Hi, Netflix is going Standard Definition … is there any FW upgrade planned to have it in HD? Netflix THD (1080p) and up requires Widevice L1 (not supported by S905W) and an agreement with this company. It can’t be fixed just by a FW upgrade. TX3 Mini does not support Bluetooth. It must be a typo. Version with “Tanix” logo is limited to some few distributors. Both are same thing. Hi Team, I purchased a Tanix TX3 mini box from Aliexpress. It shows Tanix printed on top, not TX3 mini. How can I make sure that it is an original product. Please help me. Hi, it is original. 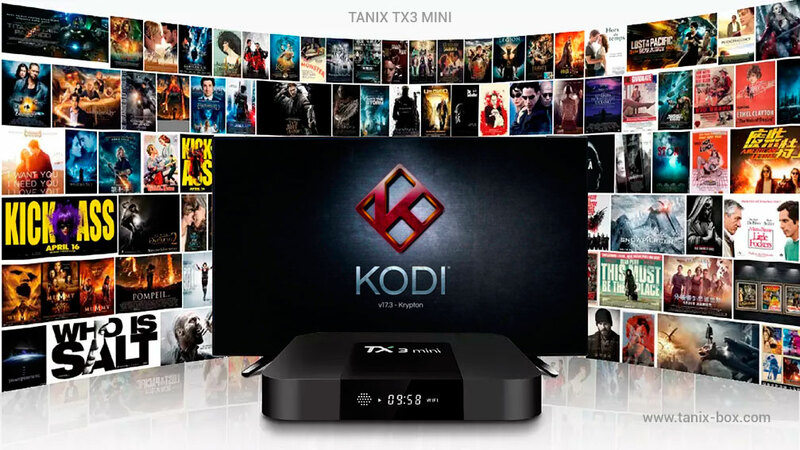 The device with “Tanix” logo is limited to few distributors while others have “TX3 Mini” logo. But both are same thing. Why it does not support more than 720p video on youtube and KodI? Hi, Kodi is showing the UI resolution. Tx3 Mini UI is 720p for performance reasons, but this is just the graphics layer. Video layer is working up to 4K@30fps. Hello, is that device compatible with Netflix? Yes is it. What are the functions you expect to use from HDMI CEC? hello do you send with tracking number to Portugal ? Yes, it is registered post always. Я просто балдею от этого нового TV box’а, и стех пор, как он мне попал в руки, я бы хотел продолжить им пользоваться как можно дольше!! YES, we will send you the correct adapter for your country. 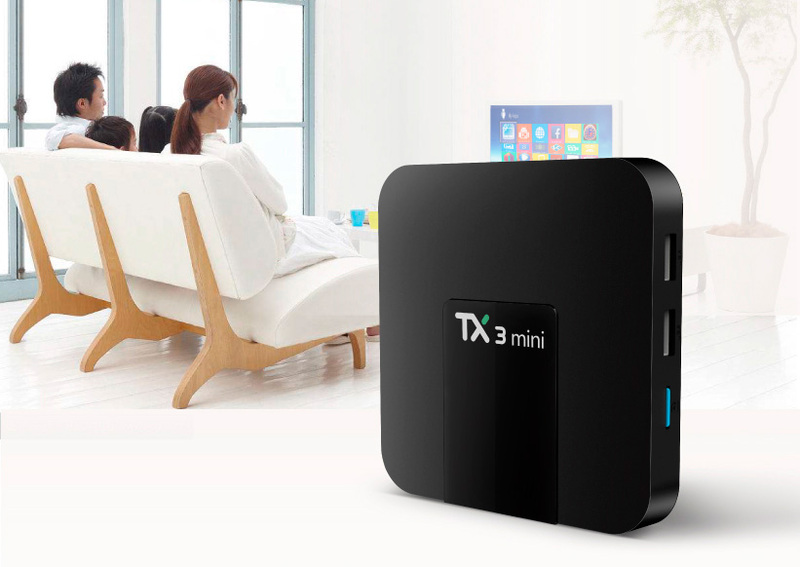 As talked by Skype I have ordered five TX3 Mini to be shipped as soon as this new model is ready. Please, do not forget my order. PD: Thanks for your good support. Hi Carl, glad to know you have experienced a good support from our guys at Skype. Of course, we are not going to forget your order and instructions (they already informed our engineers about your project details). Can I connect a mouse to this smart box? YES, you can connect any USB mouse. Also wireless mice and keyboards. Están chévere las cajas android. Espero recibir mis equipos pronto acá en Colombia. We are shipping worldwide, thanks for your order! Thanks for your good support by whatsapp. Finally I ordered two pieces. Hope my order is all right. Hi Daniel, we just checked your order, everything is ok. Many thanks again for your order! Are you shipping TX3 Mini to France? Yes, we are shipping worldwide. Love TX3 Mini, great job Tanix. Hi, I would like to buy a Tanix tx3 mini. Can I pay by Paypal? What KODI version comes pre-installed? Beautiful design, hope my two units will arrive soon. Ordered yesterday. Can´t wait to receive it!